The stove will always be dirty after each cooked meal. It’s actually impossible not to stain it with some oil or something else. 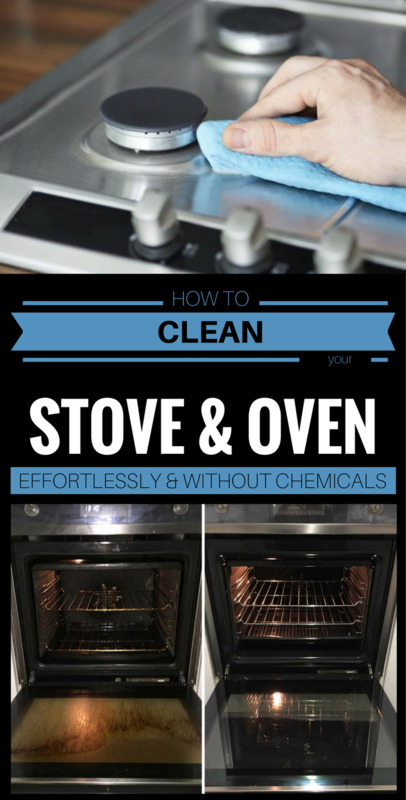 But did you know that you can clean the stove effortlessly without harsh chemicals? Beside this you can remove grease stains, burnt food, and all this without effort. Use the following natural “cleaning recipe” to clean your stove. To clean the oven, boil a pot of water in which you have added 1 lemon cut in half. Let the water to boil then introduce the dish in the oven. The vapors will deposit on the oven walls and soften the food stains. Soak an abrasive sponge in the lemon water and wipe the oven walls thoroughly. For burnt stains use baking sodas and vinegar. Sprinkle baking soda directly on the stain then pour vinegar over it. Let the solution to act for 2-3 minutes then clean it with an abrasive sponge. Finally rinse with water. Repeat if it’s necessary. Remove the grates and soak them in a solution made of 1 liter of water, 4 tablespoons of baking soda and 5 tablespoons of vinegar. Let them sit in the solution overnight, then clean them with a sponge and rinse them very well.